FULL TIME - Referee Gardner blows his whistle to end a thrilling contest in Tokyo! Facing a huge deficit at half time, the Hurricanes came out firing in the second half scoring three unanswered tries after the break. The Sunwolves threw everything at the visitors' defence in the final minutes to try and pinch it in the end but just couldn't find a way through. 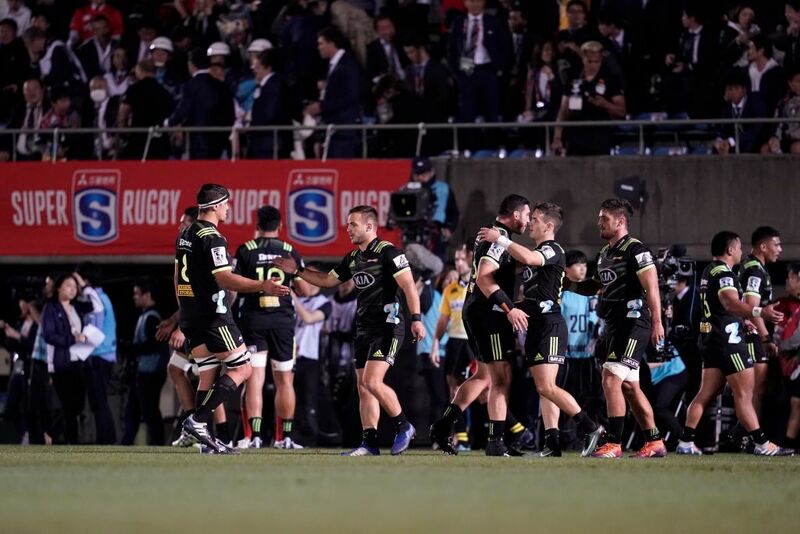 The Hurricanes were forced to battle hard but come away with the points recording a 29-23 victory over the Sunwolves. Penalty to the Hurricanes and that will just about do it for the visitors - there will be just enough time for the Fletcher Smith kick for touch. The scrum will be reset once again as referee Angus Gardner has a stern word with both of the front rows. The scrum goes down and will be reset as valuable seconds are wiped from the clock - just under two minutes to play! Under enormous pressure from the Sunwolves inside the in-goal area, James Marshall wobbles a kick into touch that takes play up towards the Hurricanes' 22m line. On the back of a massive scrum from the Hurricanes' forward pack, Smith sends his kick into touch to relieve some pressure - for the moment! Penalty to the Sunwolves - it is against the Xavier Numia in the scrum and the hosts will elect to pack down once again. Scrum to the Sunwolves! The whole match could hinge on this next play - the feed will take place 5m out from the Hurricanes' line. The Sunwolves have lifted the tempo a notch as they desperately look to strike back inside the final ten minutes - with a penalty advantage in their back pocket, they draw within five metres of the Hurricanes' line! The Hurricanes take the lead in Tokyo! A brilliant individual effort from Wes Goosen who, spotting an open try line, kicks infield to his own advantage before winning a race for the bouncing ball to score the visitors' third unanswered try of this second half. 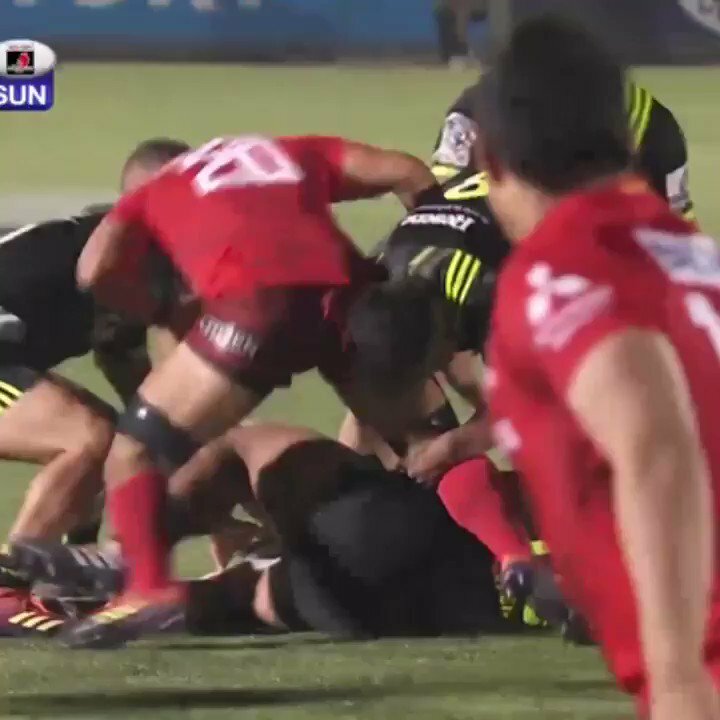 Following a messy scrum from the Hurricanes, Fumiaki Tanaka is quick to pounce with a well timed tackle knocking the ball from the hands of Reed Prinsep - scrum feed to the Sunwolves. A huge let off for the Hurricanes with a loose pass knocked forward from the hands of Jason Emery - the visitors have the scrum feed in a terrific attacking position in the middle of the field. 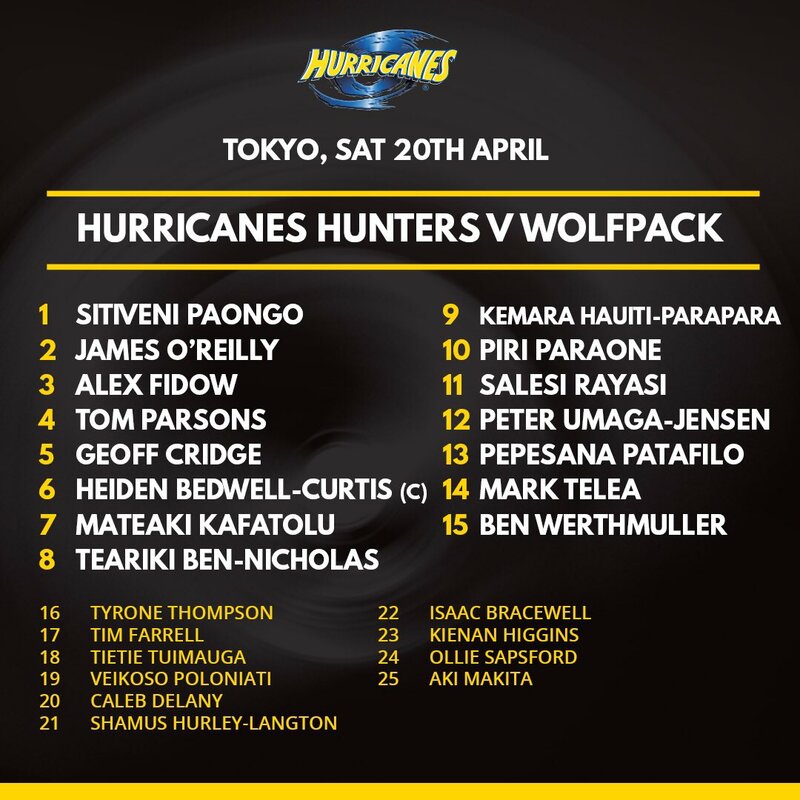 The Hurricanes draw closer in Tokyo! Tiatia follows up strongly after Gerhard van den Heever's attempted clearance was brilliantly charged down by Isaia Walker-Leawere - the winger scores to drag the visitors within striking distance of the Sunwolves. A terrific kick from Smith bounces into touch pinning the Sunwolves down inside their 22. The Hurricanes toe the ball through however Ryohei Yamanaka is up quickly from full-back to secure possession for the home side. The momentum has swung the Hurricanes' way in the second half but the visitors are pinged for offside in the lineout that will give Parker a chance to chew off some territory for the Sunwolves with a kick for touch from half way. MISS! The crowd groans as the penalty goal attempt from Parker lands out to the left - an uncharacteristic miss from the Sunwolves fly-half! Penalty to the Sunwolves! Masirewa has had some sort of night - the winger adds to his two tries from the first half with a superb tackle on James Marshall that is rewarded with a penalty. MISS! The kick from Fletcher Smith looks good off the boot however the conversion attempt slides out to the right. Here come the Hurricanes! 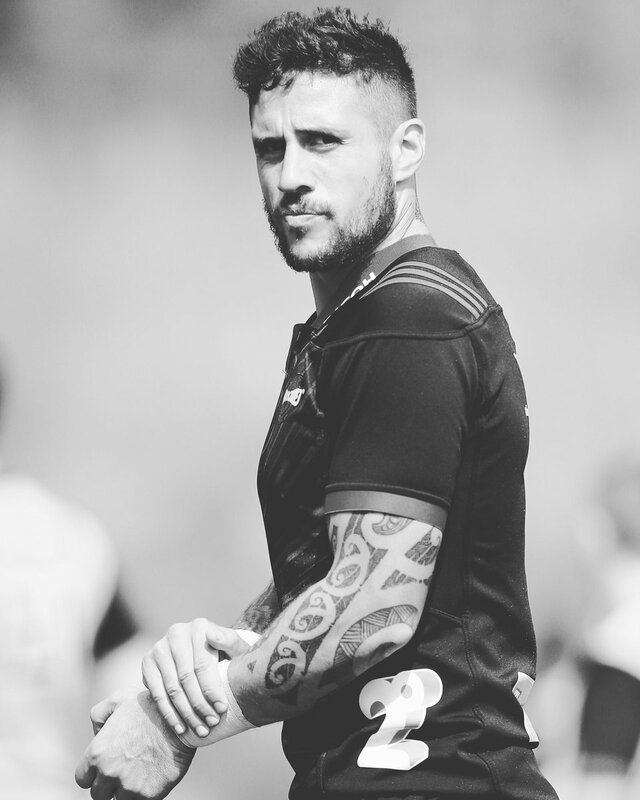 Laumape rolls a clever kick out to the left looking for the run of Ben Lam - the ball bounces beautifully for the left winger who dives desperately for the corner and finds the chalk. A well-executed exit strategy from the Sunwolves - from the scrum, the ball is spun to Parker who takes play outside the 22 with his kick for touch. The all-important first scrum of the second half - it is the Sunwolves with the feed just 5m out from their own line. Perenara looks to lay the pass inside to Chase Tiatia however the ball doesn't go to hand which gives the Sunwolves' defence a chance to scramble back - that just about sums up the Hurricanes' night so far. A chance for the visitors to go on the front foot inside the Sunwolves' half goes begging with Smith's kick for touch not finding the line. Smith thumps his kick into touch for the Hurricanes who find themselves under some pressure early in the second half. 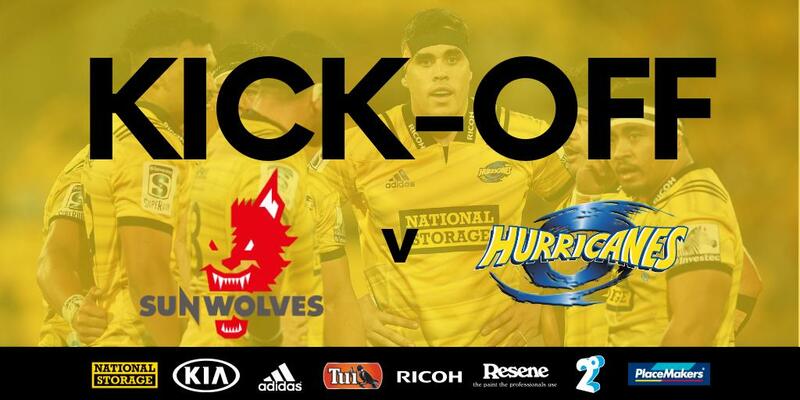 SECOND HALF - Hayden Parker kicks off for the Sunwolves to get the second half underway! HALF TIME - An incredible first half comes to an end in Tokyo! 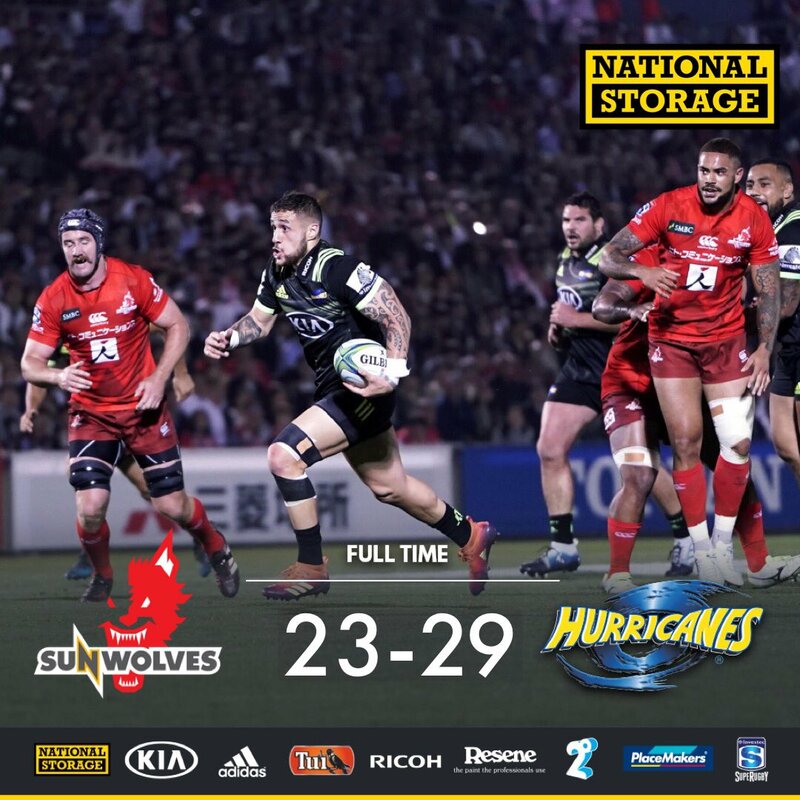 The Sunwolves burst from the blocks and never looked back - playing a highly entertaining style of running rugby, the home side ran in two tries to one and, with Parker looking deadly from the tee, they head to the rooms with a 23-10 half time lead over the Hurricanes. Penalty to the Hurricanes! Right on the stroke of half time, the home side are pinged in the breakdown which will give Smith a chance to line up for a much-needed three points from 35m out. Penalty to the Sunwolves! The Hurricanes' frustration after a difficult first half is starting to bubble to the surface with Parker taken out very late after he had cleared the ball into touch. Free kick to the Sunwolves! 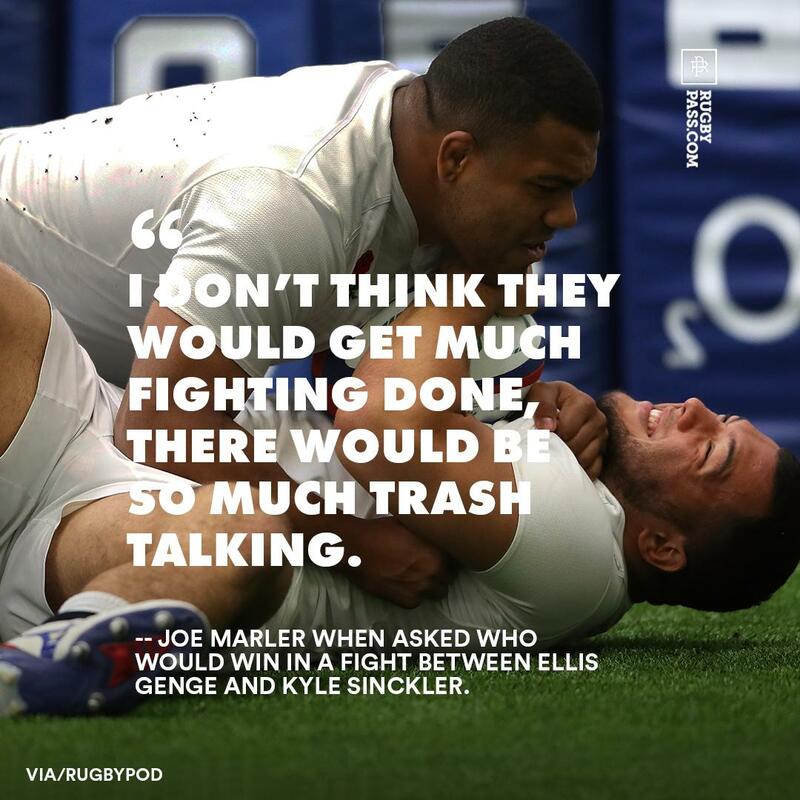 A victory at scrum time for the hosts will give them a chance to relieve some pressure. The grubber kick from Ngani Laumape doesn't go to hand however the penalty advantage was being played - the Hurricanes elect once again for the scrum feed 5m out from the Sunwolves' line. NO TRY! Perenara makes a desperate lunge for the corner and seems certain to score however, with a huge defensive effort, Warren-Vosayaco forces the ball loose with a try-saving tackle. Sloppy play from the Hurricanes but they manage to hang onto possession - the visitors are just 5m away from the try line! Penalty to the Hurricanes! The visitors desperately need a try and so they turn down a shot at the posts and elect to take the scrum feed 5m out from the Sunwolves' line. The Sunwolves are on fire in this first half in Tokyo! Outstanding vision from Parker who pokes his kick out into the open space on the left - the ball bounces perfectly for Masirewa who, with just the try line ahead, saunters away for his second try. The extra distance does not trouble Parker at all as the Sunwolves stretch their lead beyond a converted try. Penalty to the Sunwolves! Hiroshi Yamashita is taken high in the tackle by Ricky Riccitelli and so Parker will line up his third penalty goal - this time it is decidedly tougher from beyond 40m out. Parker looks to be in terrific kicking form this evening as he guides home his second penalty goal to extend the Sunwolves' lead. So close for the Sunwolves! With the try line wide open, Parker just has to kick the ball to his own advantage to score however he doesn't get the bounce he was after allowing Ben Lam, who arrives from nowhere, the chance to deny the home side their second try. Smith sends a deep kick to the left however Gerhard van den Heever is well-placed for the Sunwolves and, after completing the catch, he drives his kick into touch. The Sunwolves are looking dangerous every time they get their hands on the ball! Masirewa breaks the line, this time down the right hand side, however he can't quite connect with Dan Pryor who spills the awkward pass. 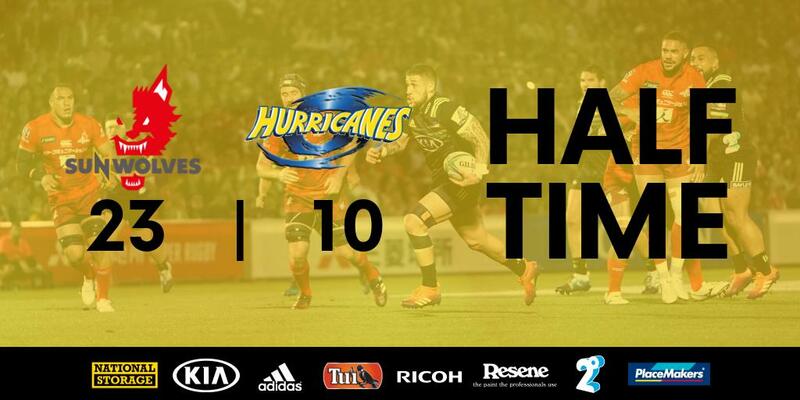 The Hurricanes hit back against the run of play! With a delightful dummy pass, Perenara slices through a gap in the Sunwolves' defensive line before strolling away to score under the posts. The penalty goal attempt from Parker never looked like missing as the Sunwolves consolidate their early advantage. Penalty to the Sunwolves! Hayden Parker will line up the posts from just 20m out on a slight angle. 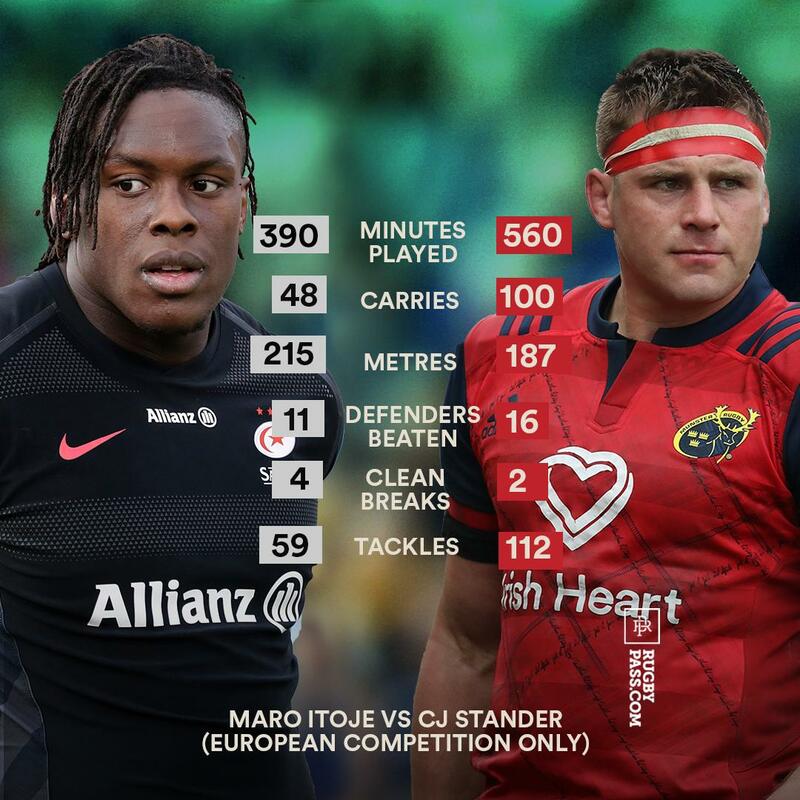 The Hurricanes are under enormous pressure again right on their own line! Masirewa looking for try number two chips over the top deep inside the Hurricanes' 22 however TJ Perenara arrives in the nick of time for the visitors. 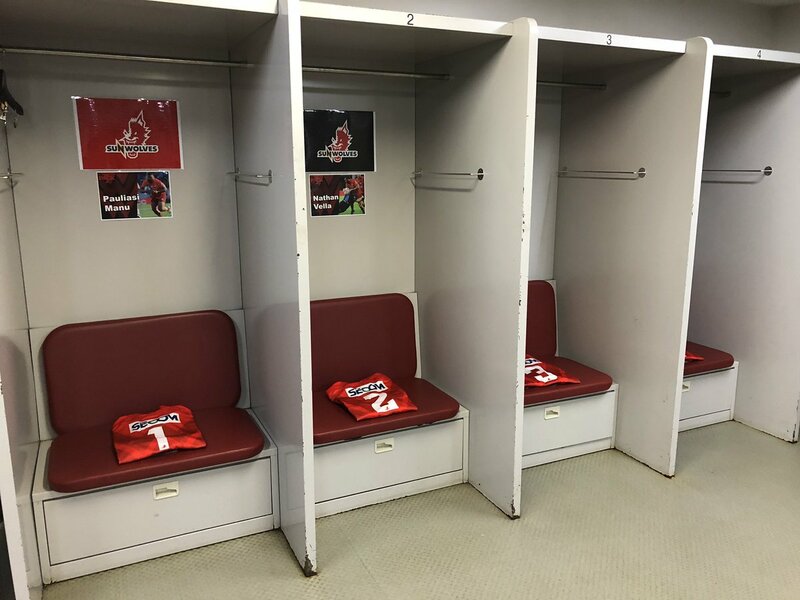 The Sunwolves strike first in Tokyo! Rahboni Warren-Vosayaco creates something from nothing with a dazzling run that cuts open the Hurricanes at the back - after drawing in the defence, the centre flicks a delightful pass out to the left to Semisi Masirewa who finishes the move. Outstanding counter-attacking rugby from the Sunwolves! After winning the turnover, the hosts burst from their own line and are rewarded with a well-deserved penalty. A huge attacking opportunity here for the Hurricanes who secure the lineout ball just 5m out from the Sunwolves' line. A well-placed kick for touch from Fletcher Smith finds the touch line right on the Sunwolves' 22m line. A solid start from the Sunwolves who win the early battle for territory and earn a lineout just inside the half way line. FIRST HALF - Fletcher Smith sends the ball deep from the kick off and we are underway in Tokyo! It's a cloudy evening in Tokyo however conditions are perfect for what promises to be a highly entertaining encounter. 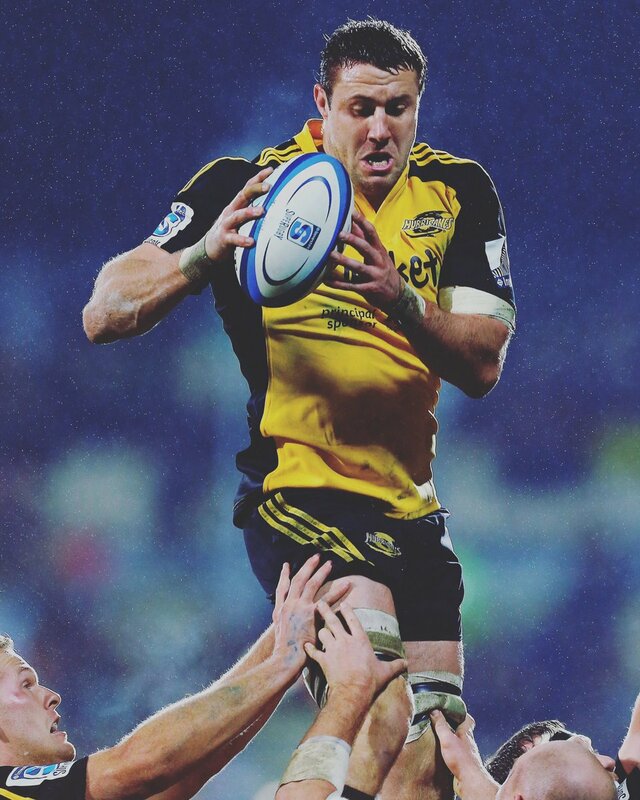 Beauden and Jordie Barrett and Ardie Savea have been rested by the Hurricanes for this clash, perhaps giving the hosts a bit of hope of an upset win. The Sunwolves are struggling on the bottom of the Australian Conference, while the Hurricanes are second in the New Zealand Conference. 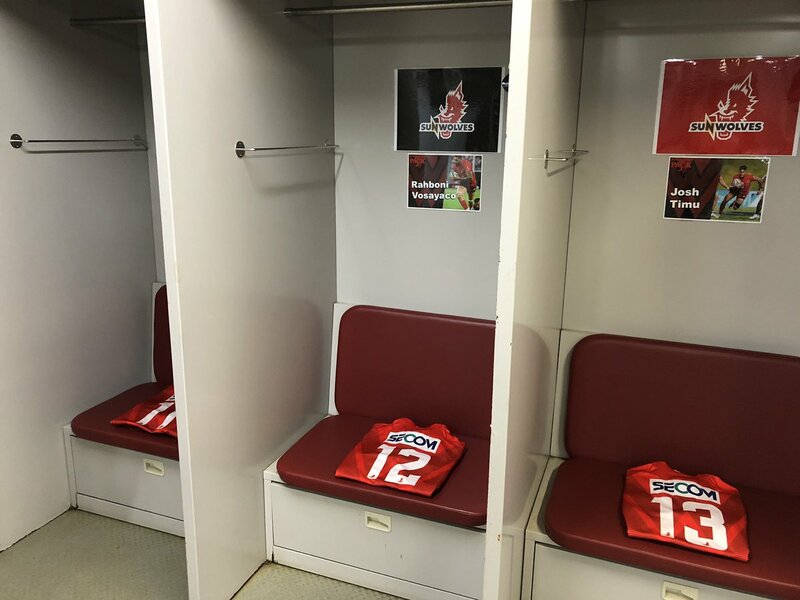 Welcome to the live coverage of the Super Rugby clash between the Sunwolves and Hurricanes in Tokyo. Use code DERBY to secure a $30 Platinum Uncovered Adult ticket (usually $43.50). Exciting first-half. @sunwolves lead. Big second-half coming from the boys. Cross-field kick is collected by Masirewa for another @sunwolves try. Converted by Parker. Another @sunwolves break leads to a 3 points for Hayden Parker and the @sunwolves . Successful penalty from Hayden Parker gives @sunwolves an early 10 point lead. Masirewa makes the break to get @sunwolves first try.